Soil structure is the arrangement of soil particles including silt, sand and clay that aggregate together, and the pore spaces between them. It supports trees and plants and gives them foundation and stability. Why do we need this systems? Not every soil structure is conducive to the growth of plants and trees, urban soil least of all. Tree growth and fertility are strongly influenced by it, as it affects the movement of air, water and other nutrients required for trees to flourish. Effectively the ‘architecture of the soil’, it is usually the most critical element in the success or failure of urban trees. A well-structured soil functions like a reservoir. It enables a tree to accept, store and transmit water, nutrients, and energy, and provides room in which roots can propagate. Good soil allows the space required for life and the necessary biochemical exchanges for growth. Too often, trees are planted in cramped planting pits and poor subsoil, resulting in retarded growth, with roots tending to colonise the area immediately underneath a paved surface and causing structural pavement damage. Paved surfaces require solid, compacted ground for pedestrian movement and vehicular traffic. 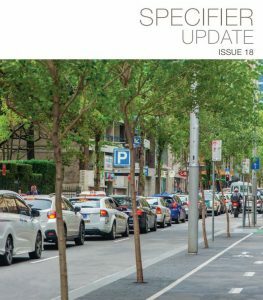 Without compromising or damaging the structural integrity of paved surfaces, how can urban trees be adequately provided for in their urban setting? Citygreen offers landscape architects, engineers and arborists quality soil-volume products to create structurally beneficent and strong structure systems that, while conducive to root growth, also give adequate support for pavements. Contact us for more information on its importance and the soil structure systems that we can provide.